﻿ Nuri Sahin: "Cristiano Ronaldo breathes and lives for football!" 19.04.2013 » Nuri Sahin: "Cristiano Ronaldo breathes and lives for football!" The Real Madrid midfielder is currently on loan to Borussia Dortmund, precisely the Merengues' opponent in the Champions League semi-finals. In an interview granted to "Marca" earlier this week, Sahin talked about his 1-year experience in Madrid and remarked that it has been a true honor to train on a daily basis with the best player in the World: Cristiano Ronaldo. 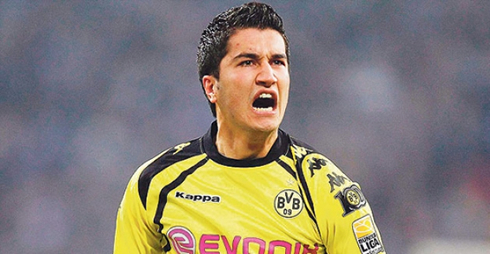 Nuri Sahin was signed by Real Madrid back in the Summer of 2011, for a modest transfer fee of 10 million euros. He arrived with the "best Bundesliga player" label, but somehow ended up falling short to the expectations. After an unsuccessful 6-months loan to Liverpool in the beginning of current season, the 24-years old midfielder returned to Borussia Dortmund in another loan deal that will last until the end of the next season. Faith decided that the two teams would meet again in their Champions League journey to the final, just the round before Wembley's last stage where one team will be crowned European champion. In a quick interview given to the Spanish newspaper "Marca" a couple of days ago, Sahin didn't hide the fact that this will be very special match for him and praised Cristiano Ronaldo, his former Portuguese teammate from Real Madrid, who he ranks as the best football player in the World. The Borussia Dortmund vs Real Madrid 1st leg game will be played next Wednesday (April 24), in Germany, at the Westfalenstadion. As surprising as it may be, Nuri Sahin will be eligible for playing against Real Madrid in the Champions League semi-finals tie. The German midfielder is currently on loan from the Spanish club, but it seems there was no contract clause that could prevent him from facing the Merengues in any competition, so as far as it goes in terms of football rules, he has green light to give his contribution in both the Bernabéu and the Westfalenstadion games. That being said, Jurgen Klopp can count with Nuri Sahin when planning his strategy to battle with Real Madrid, but it's not likely that the 24-years old may go into any of these two games in the starting line-up, as he's still looking to find his best form. Nuri Sahin: "This Borussia Dortmund vs Real Madrid match will be a very special game for me. I've only played for a single year in Madrid, but I've won La Liga and I left many friends at the club. For those reasons, it won't be like any other game... Moreover, we're talking about a Champions League semi-finals, so it is necessarily a very important game in any circumstance." As for his relationship with Real Madrid's coach, José Mourinho, the German talent had nothing but good words to say about him. Sahin: "I have a terrific friendship with Mourinho. He is very honest and he has always been sincere and straight-forward when he talked with me during my stay in Madrid, so I can only be very thankful to him. He's truly special both as a coach and as a person. He's a true gentleman, someone who is always there to help you and motivate you. I only hold good memories about him", stated the Borussia Dortmund player. Nuri Sahin: "Mourinho took the time to explain him why I wasn't playing much time in Real Madrid and that's one of the reasons why I will always say he has been honest and fair with me. However, I won't tell what we've talked about exactly, since I'll prefer to keep that for myself", noted the German midfielder, who has also failed to leave a mark in Liverpool FC, during his short passage in England, at the beginning of this season. Next Wednesday, Borussia Dortmund and Real Madrid will lock horns in the Westfalenstadion and if there's a player who knows the true potential of both sides, that's surely Nuri Sahin. He has shown a good share of his genuine conviction that the tie will be very disputed, but warned the Madridismo that in Dortmund they all want to win this Champions League trophy as much as they do in Madrid. 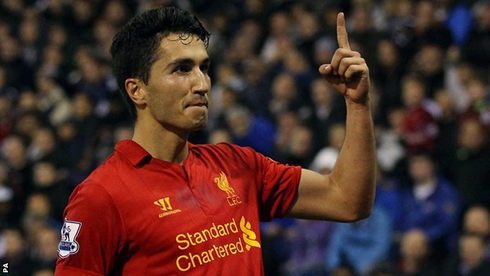 Sahin: "We've already beat Real Madrid in the group stage and that can end up happening again. However, it's also true that Madrid are now a stronger side than they were before. It's going to be a very tough tie, because I know what winning the "Décima" [the tenth Champions League trophy in Real Madrid history] means for the Madridismo, but in the other hand, we want it as much as them! ", warned the Borussia Dortmund creative midfielder. Sahin: "Both teams want to win this Champions League very badly. At our end, we don't have a single player who has already won it in the past and in Madrid, they have like 3 or 4 players who have won it once. Therefore and from that perspective, I think the motivation levels will be pretty much equal. I know Mourinho very well and I'm sure he's also looking forward to get his third Champions League. To Real Madrid, winning the tenth Champions League means everything, but so it does to us, since we lost the Bundesliga to Bayern Munich and we were also knocked out from the German Cup", outlined Sahin, also aware of the other semi-finals big clash: Bayern Munich vs Barcelona. As for Cristiano Ronaldo, the German footballer didn't hesitate in stating that we're talking about the best player in the World. Nuri Sahin: "Cristiano Ronaldo is the best olayer in the World. He scores goals and wins matches almost on his own and in a regular basis. To me, it has been a true pride to be allowed to play at his side, because he's a very professional football player, he trains like no one else and he loves this game. Ronaldo breathes and lives for football and we can tell that when we see him performing on the pitch. To play on his team and to have had the chance to learn from him has been a true honor. Whoever insists on saying that Cristiano Ronaldo is an arrogant and a cocky person, is tremendously wrong...", pointed out Sahin, when asked to talk about his former teammate. Cristiano Ronaldo next game for Real Madrid will be a home fixture for La Liga, against Betis, on April 20, 2013. You can watch Juventus live stream, Real Madrid vs Betis, Barcelona vs Levante, Tottenham vs Manchester City and Fulham vs Arsenal, all matches provided from our football live streaming section.